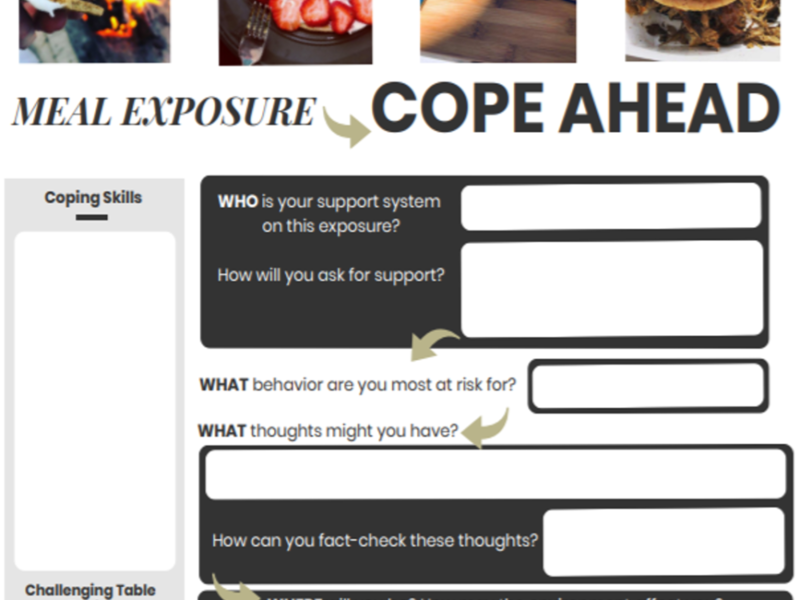 Following a Who/What/When/Where/How structure, you can walk patients through the exposure event, utilize visualization and anticipation to have them best prepared for challenges that may come up. With continued use, food exposure therapy can reduce a patient’s anxiety around food and food environments, ultimately increasing food variety. Comes with 2 versions: plate model and exchange system meal planning. Also comes with instruction page to walk provider through suggested method of use.